I think it is about time that somebody demystify this recipe! That amazing crème de la crème with a caramelized topping. Mmh… I am sure you want one now and I will help you to make that happen. Promise. 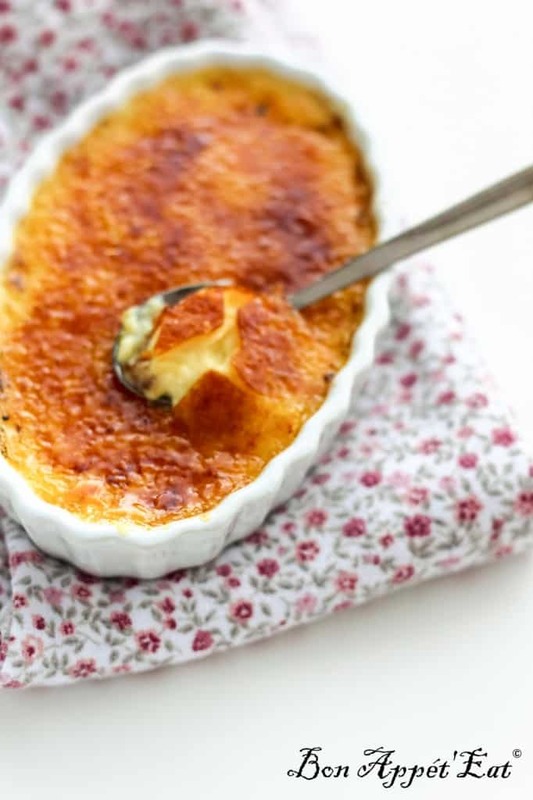 When I tell people who I prepared a crème brûlée, they are always ”wowed” and think I am a super chef because of that. And sometimes because I am French too. While I am happy to take that credit and those compliments, I have to share the secret with you, it is way too simple. My go-to-recipe is FROM a book! Of course, I am like you. I am not going to reinvente the wheel, specially when it is just perfect. The book I am referring to is in French so I will have to translate it but to be fair and give the credit to the right person, here are, some details of it ”Café gourmand” from Sandra Lucchini and Stéphane Glacier – SAEP. Even if you do not read French, look it up, the pictures are really mouth-watering. There. You have it. 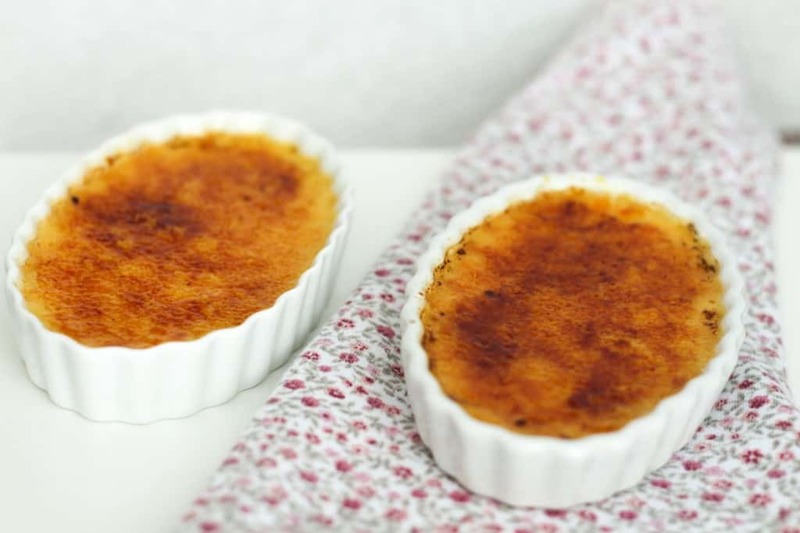 You can now prepare a real crème brûlée like a French chef! Cocorico! I forgot to mention that the preparation before going in the oven is about 10-15 minutes, you really have no excuses now. - Bring the milk to boil with the vanilla, if that is what you choose. 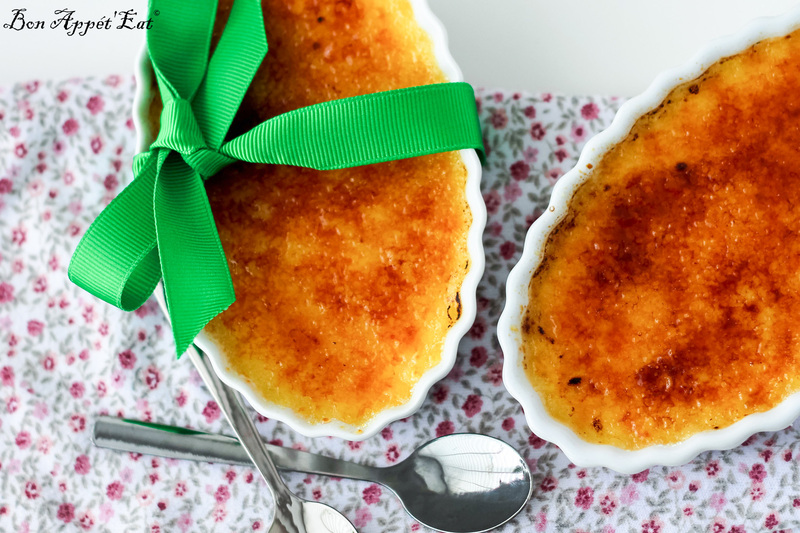 - Before you jump on it and eat it... Sprinkle with some sugar on top of the crème and with a baking torch, caramelize it. Otherwise, the book says that you can broil it in the oven for 4 minutes. Merci Jeje 🙂 en effet, j ai ecrit qu on pouvait aromatiser a son gout!